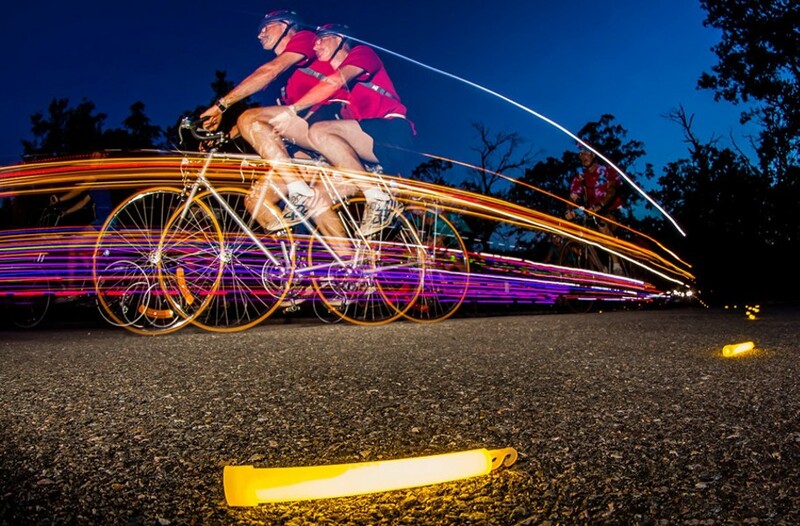 Event Pick: The Anthem Moonlight Ride | Night and Day | Style Weekly - Richmond, VA local news, arts, and events. Summertime in Richmond is perfect for nocturnal living. Fewer people are out and about, there’s less puddinglike humidity to breathe, and you aren’t suffocated under the tyranny of a ruthlessly oppressive sun. So here’s some good news: Sports Backers holds its annual Anthem Moonlight Ride on Saturday, Aug. 6 — because only a two-wheel masochist would consider riding a bike solely for pleasure during daylight hours. Starting at 8 p.m. at Sports Backers Stadium, you can choose between 15- and 8-mile courses to travel through the darkened streets of our concrete jungle with well-stocked rest stops along the way. And don’t worry, the streets are cleared for you. Prizes will be awarded for the best tacky lights and costumes, and a Agee’s Post-Ride Party will be held at Sports Backers Stadium. Call 285-9495 or visit sportsbackers.org.